The Nanaimo Heritage Festival is Sunday May 19th at Maffeo Sutton Park from 11 to 6 – bring the whole family! HUGE parade, plenty of gourmet food, a Show ‘n Shine, TONS OF FREE entertainment, activities, face painting and bouncy castles – and stay tuned, there’s even more coming. Check back soon! The annual Nanaimo Heritage Festival Parade starts at 1PM sharp in downtown Nanaimo and begins on Victoria Crescent, through Commercial Street, onto Front Street, and ends down at Maffeo Sutton Park. All city controlled parking is free with the exception of the Harbourfront Parkade and Vancouver Island Conference Centre Parkade. The Nanaimo Heritage Festival is an exciting community focused and volunteer-based celebration held annually on the May long weekend. 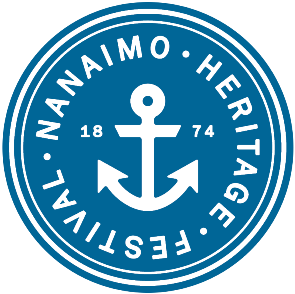 Its roots precede Nanaimo’s incorporation in 1874, with the earliest known date of this long-standing Nanaimo event being in 1863. We look forward to seeing you downtown on Sunday May 20th, 2018 – come take part in all the fun that’s planned and celebrate our heritage in this amazingly beautiful place called Nanaimo. The earliest known record of the Nanaimo May long weekend celebrations (previously named “Empire Days”) was on May 25th, 1863 and can be found in the May 30th, 1863 edition of the British Colonist newspaper. Nanaimo boasts the oldest annual continuous community celebrations of the May long weekend without a break in Commonwealth, which unless proven otherwise, remains undisputed to this day! In 2015, the name changed from “Empire Days” to “Nanaimo Heritage Days” in recognition and respect of the strong desire for our community to be truly inclusive and honor the roots of its diversity. The event was reinvented as a celebration of Nanaimo and all the cultures, heritages, and histories that come together within the city. To strengthen this new direction, local business and volunteers stepped up and committed to ensuring its success during the years of 2015 and 2016. In 2017, Nanaimo Heritage Days changed hands to proceed forth as a 100% community organized and volunteer based non-profit event.